Does MLA style capitalize ancient when it precedes Greece or Greek? No. We follow Merriam-Webster, which indicates that the terms ancient and classical are not capitalized when they are attached to names of languages or periods. How do I style genus and species names, such as Homo sapiens, in MLA style? 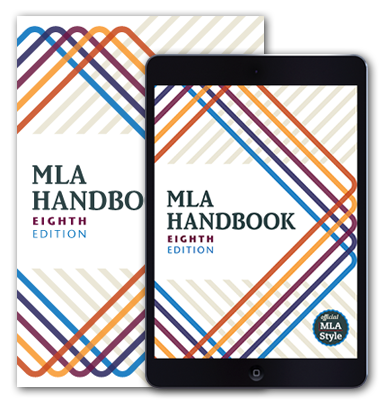 MLA style was developed to be used by writers in the humanities, so we defer to our colleagues at The Chicago Manual of Style regarding how to style genus and species names. The manual notes: “Whether in lists or in running text, the Latin names of species of plants and animals are italicized. Each binomial contains a genus name (or generic name), which is capitalized, and a species name (also called specific name or specific epithet), which is lowercased (even if it is a proper adjective)” (“Genus”). See the manual for guidance on abbreviating genus names (“Abbreviation”). Should an article at the start of a subtitle be capitalized? In MLA style, should any part of a two-word preposition, such as according to, be capitalized in a title? Some other styles capitalize a preposition or a word that belongs to a preposition if it has five letters or more. If John Irving’s novel appeared in an essay or works-cited list published by the MLA, it would be styled The World according to Garp. There is no uniform consensus on how to capitalize names of cocktails . . . In some types of material, a vertical list may be preferable to a run-in list . . .
How do I style geographic terms such as north and south in MLA style? Customs in the East differ from those in the West. She moved from the East Coast to the West Coast. You should read both Western and Eastern philosophy. Many scholars now study the global South. The United States is located north of Mexico. Should shortened generic forms of proper nouns be capitalized? How do I style the names of functional elements of a Web site when I refer to them in my prose? To change your institutional affiliation, go to Update Your Profile. Select Save My Vote and Continue to move to the next screen. To stop receiving calls from someone, hit Block This Caller. Calls can be viewed on the Calls for Papers page. A quotation that follows a verb of saying (e.g., writes, says, states, exclaims) and is run in to your text is introduced with a comma and begins with a capital letter.